east side bride: I'm still a feminist! we like drinking tea and having breakfast together, and feminism and watching gossip girl and zines and listening to cocorosie. this is our online diary, because the private is political. I see you've been poking around in my brain again. Nice, ESB, nice. It's so fun in there. 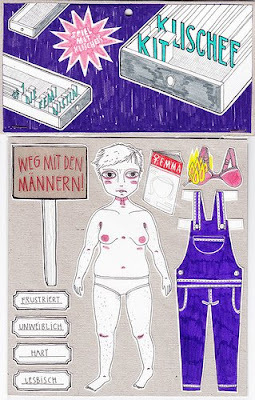 BRA-BURNING PAPER DOLLS? Srsly? I am so happy to live in this world.